ENLROC was formed in 1989 by our Honorary Club President Ken Sharman and his friend Stuart Abbott. 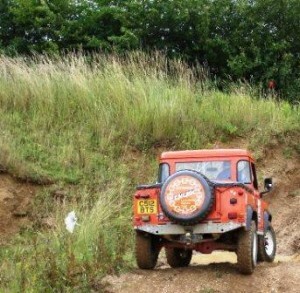 They both had a serious interest in Land Rovers and decided to form a club. They held their first meeting at the Star and Garter pub in Chelveston, which is situated between Rushden and Kimbolton on the east side of Northamptonshire, hence, the name of the club. After the first meeting an article appeared in our local evening paper in an attempt to publicise the club and drum up new members. At the next meeting there were about a dozen people sitting around drinking and talking about, yes! 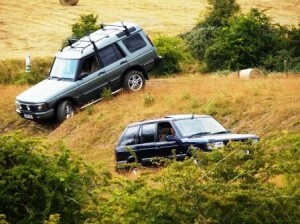 you’ve guessed it, Land Rovers, so not much change there. Ken introduced himself and Stuart to those people who were not at the first meeting and explained what he had in mind. He also asked for volunteers and ideas to help the club get off the ground, by this time he had persuaded Dave Vaughan to become club secretary, things were beginning to take shape. Although the Star and Garter was a friendly and welcoming pub it was too small. A new venue had to be found and the next few meetings were held a few miles further east at the Manchester Arms in Tilbrooke, after a while this also proved to be unsuitable and ENLROC was on the move once again, this time to the “Nags Head” in Wollaston. While all this was going on we were also searching for sites to hold trials on, something we have been doing ever since. 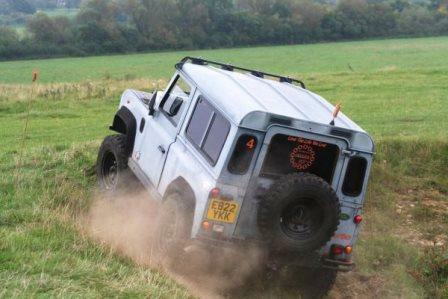 Our first “Off-Road Day” was held on a motor bike trials site at Brake Hill Farm, between Brigstock and Grafton Underwood. A pretty tame site to what we are used to now, but it gave us a chance to get to know each other, and also for a lot of us who had not done much off-road driving to get to know our vehicles and their capabilities. Things were progressing very well, with more events organised; a committee was formed to run the ever-growing clubs affairs. If we wanted to trial our vehicles it was decided that it would be an advantage to join the Association of Land Rover Clubs (A.L.R.C. ), and also the Royal Automobile Club Motor Sports Association (now known simply as the M.S.A.) whose role is to regulate all types of motor sport in the UK. We applied to join both organisations and after submitting the necessary paperwork we were duly accepted, ENLROC was entering the big time. The Club by now had its first newsletter entitled “The Car and Starter”, derived from “The Star and Garter”. It was used much as the present day newsletter is, to inform and entertain club members. It developed into a club magazine, with its colour covers and centrefold, started and developed by Ian Cox, continued and improved by Martin Duddy, Andy Ward and Keith Field. A few editions were produced by various members of the then committee before Mick Moore took over for 3 years and improved the magazine even further James White stepped into the breach to keep things going before passing the job onto Hayley Pask. Since then, club members found it increasingly difficult to find time to write articles and the magazine was halted replaced by monthly updates on the internet. Now we have a tree friendly online newsletter that is sent to all our members and available to anyone from our website. As time progressed membership steadily increased, more “off-road” events took place, including weekend trialling at neighbouring clubs and ENLROC developed into the club we have today. A club which, although not by any means one of the largest in the ARC, has still made its voice heard whenever necessary and when it had a view to express. Yet another change of venue was forced upon us when the “Nags Head” was closed for re-furbishment. This resulted in us moving to the Red Lion, Brafield-on-the-Green and then onto Overstone Manor. This change was due to the Landlord of the Red Lion moving on and his successor not having a friendly attitude to motor clubs. This has since happened again at Overstone Manor which resulted in our latest move to Billing Mill, thanks to Mary Brown. Hopefully, our present venue will serve our needs well into the future, we now hold our club meets at the Windmill Club in Rushden. The next major milestone in the clubs history was the decision to become a Limited Company. The subject had been discussed at various times in the past but no final decision was made. However, considering the apparent ease at which people or organisations will sue each other at the slightest provocation and as the result of an ENLROC member’s vote, the club set about the task of incorporation. After many months hard work, mainly by the then club secretary Gary Culpin, on the 25th September 2000 ENLROC became ENLROC Limited. We are now better protected as a club and as individual members from any claims which may be lodged against us in the future. In real terms as members, things will be very much as they have always been, except you may all sleep a little better knowing you have the protection that the Limited status now offers. So, what of the future? We can only guess. It does seem that our present Government is not altogether in favour of recreational vehicles in the countryside with the introduction of its Countryside and Rights of Way Bill. We will just have to keep a keen eye on all developments and be prepared to make our voice heard whenever and wherever necessary. We hope the club gives members what they expect and will continue to do so for many years to come. I have no doubt things will change in the future, hopefully always for the better, but if you feel you would like to get more involved in shaping these changes, or you have a view to express, come forward and speak to any committee member. We hope this brief history of the club will prove interesting to at least a few of you, especially some of our newer members who may not have realised what has been done in the past to develop ENLROC into the club that we know today. Finally we would like to extend a warm welcome to all new members. 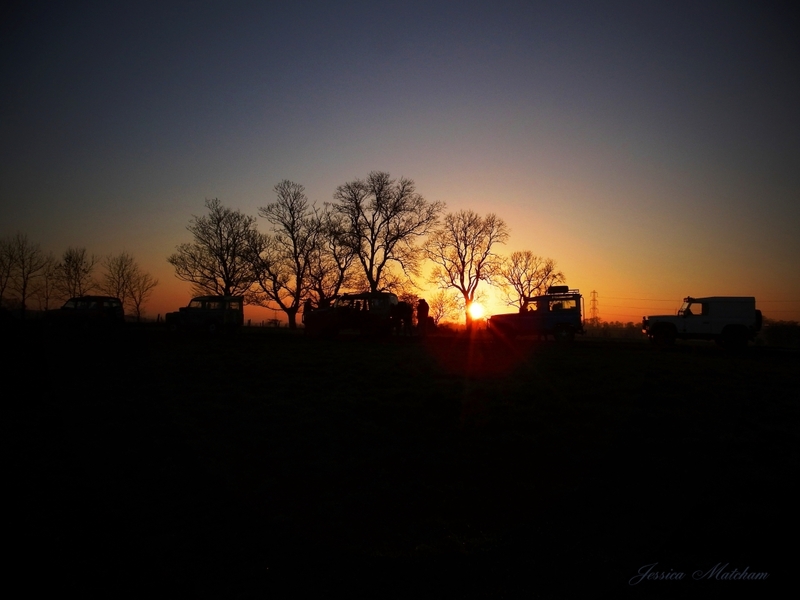 It is worth remembering that as a group of enthusiasts our main aim should be to foster a good-natured, friendly atmosphere in which we can all enjoy the one thing that unites us, our Land Rovers.